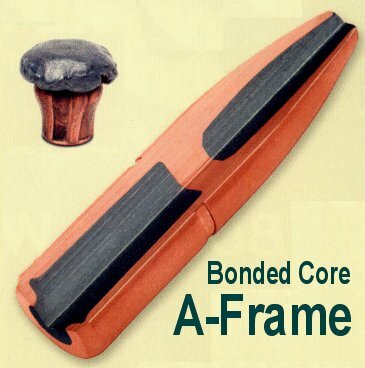 Swift A-Frame bullets convert any deer rifle into an elk rifle. The Swift A-Frame bullet has separate front and rear chambers with soft lead up front and hard lead at the rear, separated by a wall of jacket material and core-bonded to weld the jacket to the core. These bullets hold together and penetrate deep while expanding for maximum deadly effect on game. Well known for their accuracy, too. Click Here for more information, photos, and specs on Swift Rifle Bullets. Sold in boxes of 50 bullets.